There have always been several paths to the High School Equivalency (HSE) Diploma in New York State. The most common was the GED® Test. The version of the GED® test used nationally up to now was created in 2002. As of January 1, 2014, a new, computer-based, Common Core-aligned GED® test has replaced the 2002 GED® paper-based test. Every state has had to decide what test(s) they will accept as paths to their own HSE Diploma. Due to the dramatic nature of the changes to the GED® test, New York State has elected to replace the GED® test with the Test Assessing Secondary Completion (TASC) from CTB/McGraw Hill. Starting January 1, 2014, you cannot take the 2014 GED® Test in New York State and if you take it in another state, your HSE Diploma will come from that state. If someone offers you the opportunity to take the GED® Test in NYC, it's a scam! The TASC is offered as a computer based test, but it is not available through the internet. You must register at a New York State Education Department sanctioned test site to take the test and you will have to come to a specific location to take the TASC. If someone offers you a chance to take the TASC online at your home, it's a scam! You should not have to pay to take the TASC. If someone charges you money to take the TASC, it's a scam! Report scams on our Facebook page. 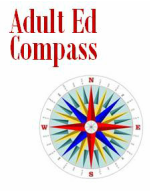 Looking for an Adult Education Class?